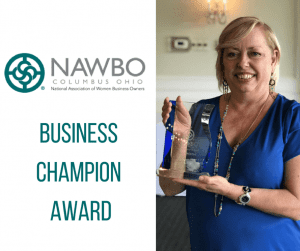 The NAWBO Columbus Business Champion of the Year Award recognizes one outstanding person who advocates for the growth and success of women in business. Honorees must support legislative/regulatory efforts, work to increase business and financial opportunities, improve the business climate and be an advocate for women business owners. 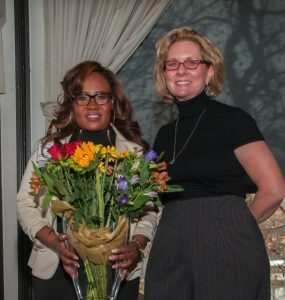 Overall, honorees help enable women business owners to achieve their potential. Nominations for this award open in early Spring, and announcements will be sent when the application opens. Mary was instrumental in the Chapter’s efforts to get approval of the Women’s Microbusiness Legislation, HB5. 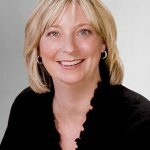 She has over 20 years of experience as a business owner and consultant, she is actively involved in NAWBO’s public policy committee and is an advocate for women business owners. In addition to YMT, Mary is Co-Founder of the Women’s Small Business Accelerator (WSBA), helping many women to start and grow their businesses across Columbus. 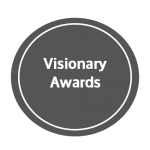 The Visionary Award honors Central Ohio women business owners who have achieved success with their business while making notable contributions to their communities, their industries and to initiatives for other women in business. NAWBO Columbus hosts this coveted award as a prestigious way to recognize and showcase the amazing women who not only own and operate businesses that are vital to Ohio’s economy, but also find time and resources to identify needs and drive social change. These Visionary women make Central Ohio better and stronger for all of us. 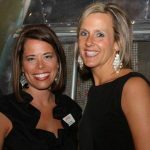 Abby and Erin founded Bridgeway Academy in 2005, while searching for meaningful and effective ways to serve children with autism and developmental disabilities. Today, Bridgeway Academy inspires the potential and celebrates the ability of every child, while serving 180 children, preK-12th grade from 9 counties in central Ohio through outstanding school day, summer camp, and psychological services; plus speech, music, physical, and occupational therapies. Bhakti is an architect and CEO of BBCO DESIGN, which she founded with her husband in 2009. Originally from Mumbai, India, she received her undergraduate degree from the University of Mumbai. After moving to Columbus for graduate school, she received a Masters of Architecture from The Ohio State University (OSU). Bhakti is very involved in the community and is passionate about sharing her experience as an immigrant and a woman business owner. Being in a male dominated industry, she thinks it is important to encourage women to fulfill their career potentials and raise important issues such as pay equity and work life balance. Dr. Clinton built Timeless after spending 15 years practicing medicine in a complex, high-pressure environment where medical changes occur unexpectedly. Her compassion, attention to detail and high standards for patient care has translated into all aspects of Timeless Skin Solutions. Today, Timeless is recognized as a groundbreaking, physician-directed skin care practice helping men, women, and teens achieve healthy and vibrant skin. Nominated by their peers, the nominees and the selection process remain confidential until the finalists are announced in early May. The award is presented at the annual Visionary Leadership Conference in June. 2009: Shaune Skinner, ASC Group Inc.
Jennifer Kuntz, Greenleaf Job Training Services, Inc.
Janis Mitchell, Precise Resource Inc.
Jamie Parman, Mary Kay Cosmetics Inc.
Sandy Fekete, Fekete + Co.
Farah Majidzadeh, Resource International, Inc.
Renee’ Claxton, Sort & Pack, Inc. 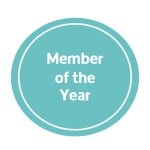 The Member of the Year is awarded to a member who has gone above and beyond the call of duty for NAWBO Columbus. She is someone who has given of her time and talent to better the organization, and who influences the growth and professional development of our organization and guides individual members in their own growth and development. She models effective leadership and commitment to the group over time. 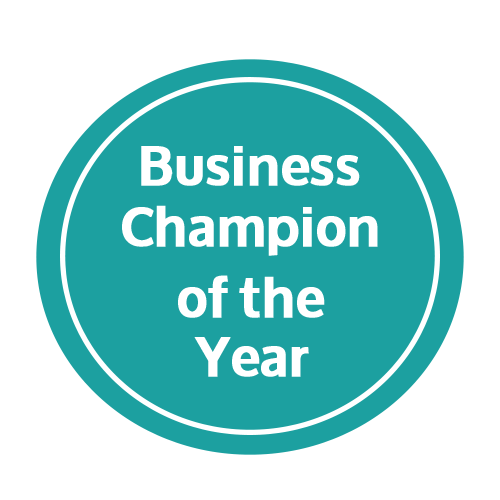 Nominations for the Member of the Year award will open in Summer, and announcements will be sent when the application opens. The winner will be announced at the August Annual Meeting. 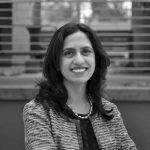 A member since 2014, Babiya currently serves as Secretary of the NAWBO Columbus Board of Directors. In addition, she serves as a tireless volunteer on both the Corporate Partner and Programming Committees. She is a fierce and positive advocate for our Chapter and was nominated for her embodiment of NAWBO values and beliefs in the NAWBO purpose. Babiya is known to mentor and guide new members, is an active volunteer and shows great dedication to our organization. 2010: Jeanne Gokcen, FutureCom Technologies, Inc.